Happy Mother's Day! Mommy drinks because of you... her kids. 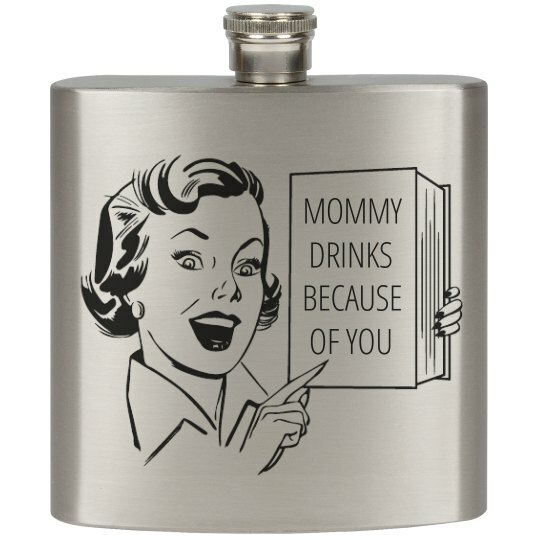 Get mom something good this year with this funny flask featuring a vintage housewife. This was my favorite bed time story my mom read to me as a child.